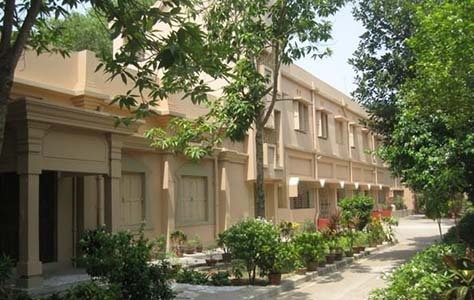 Kamarpukur Ramakrishna Mission Multipurpose School under the aegis of Ramakrishna Math and Mission, Kamarpukur with Headquarters at Belur Math, Howrah, West Bengal, is a Bengali medium high school recognized by the West Bengal Board of Secondary Education. This school also runs a hostel where students stay in different “Bhavans” which are considered the second home for the boys. Almost 16% students (120 approx.) of the total strength (725 approx.) of the school stay in these hostels or “Bhavans”. There is an ideal atmosphere of ashrama under the guidance of monks and teachers in the hostel. All the supervisors of the hostel, both lay and monastic, living with the students, share the common hardship or benefits of the hostel-life. Boys are trained here for an all-round development of body, mind and spirit. For achieving this end it is necessary to have faith in the educational ideals of Swami Vivekananda. These ideals are based on Brahmacharya or purity and Shraddha or faith in one’s own self and faith in the teacher. Lack of co-operation on the part of either the students or their guardians may result in failure of the boys to derive due benefit from this institution and thus the very purpose, for which this institution stands, may be defeated. The object of this institution is to give an education of public school type, but suited and adapted to the Indian background. Great care is taken to form the character of the pupils. True Religion forms the basis of all activities in this institution. Neither sectarian nor ritualistic religion is taught, but every care is taken to make the students grow in all directions; i.e. physical, intellectual, moral and spiritual as envisaged by Swami Vivekananda. The institution relies on the potency of a favorable environment for gently drawing the minds of the students towards higher values of life. So, a spiritual ambience is sought to be maintained through regular congregational prayers, discourses, celebration of religious festivals and birthday anniversaries of spiritual leaders. Prayer forms an integral part of the students’ daily life. For hostellers, prayers are held in the shrine daily in the morning and in the evening. To develop among students, Indian ideal of life, special classes on Indian Culture are held once in a week. To implant the sterling qualities of great lives in their minds, the biographies of great men are studied with special emphasis on the inspiring traits like truthfulness, self-sacrifice etc. Admissions are granted for classes V and VI as hostellers (the scope of admission in class VI as a hosteller, is completely depends on the availability of seats in any specific year). Parents seeking admission for their children have to obtain the prescribed application form and prospectus. Application form for admission is issued in the month of august for hostellers. Specific dates for the same are notified in the 3rd week of July. Application form is to be collected from the school office only. The details regarding Admission at Kamarpukur Ramakrishna Mission Multipurpose School may be obtained under link ‘Admission’ . If any student leaves the hostel after getting admission in the school hostel, he has also to leave the school. After new entrants (hostellers) come to the institution ‘Vidyarthi Vrata’ (Vow-taking ceremony) is held every year in presence of all guardians, teachers and monks. The curriculum followed is generally what is prescribed by the West Bengal Board of Secondary Education. The medium of instruction is Bengali which is also taught as the first language. English is the second language. Sanskrit is provided as the third language to the students of classes VII and VIII. Work education and Physical education is compulsory from class V to VIII. ‘Work education and physical education’ or ‘mechanics’ is offered as an optional subject in class IX and X.
Indian Culture and value Education (ICVE) and Computer application are taught as compulsory subjects in all the classes from V to X. All the hostel students are to read in the particular study rooms. Silent reading is preferable. There is no arrangement of conventional tutor for individual students. Instead there is arrangement for group coaching. Besides, study observers solve apparent problems of the students. Personal studies of the hostel boys are supervised by the teachers while additional help is provided for the weaker boys, special assistance is extended to the exceptionally bright students. In short we try to impart individual attention to help every pupil develop most of what is latent in him. The school has a library with more than 3150 volumes of test and reference books and also a reading room for teachers and students. Besides that an Area Library is also located inside the school campus. Around 11700 books, leading periodicals, magazines are also available there. Students and staff both may reap the advantage of the same. The residence of the boys is divided into three houses namely Bharmananda Bhavana, Vivek Bhavana, and Ramakrishna Bhavana for class V- VIII, IX and X respectively. Bhavanas are under the supervision of wardens and monastic members. Mosquito net, mattress, carpet , (Bed sheet should be taken from hostel), pillow, quilt, dish, bowl, glass, spoon, umbrella, torch, dhuti (Two), sky blue shirt (two), navy blue pant(two), blue sweater, black shoes, white skates, stockings (two pairs) and trunk or bag must be brought by them. Guardians should provide the students simple and limited number of hostel dresses and other things so that they get habituated to simple life style. All the students must follow the daily routine. Hostel dress is sky blue shirt and navy blue pant (except prayer and play time). Students must use the same only. Students must attend morning and evening prayers in time, wearing dhuti, white Punjabi and white ‘uttariya’. Pupil’s behaviour and way of talking should be respectful towards monks, teachers and non-teaching staff members. Keeping valuable ornaments, watch, camera, radio, tape-recorder, walkman, mobile phone, other electronic gazettes, indecent papers & magazines etc. is strictly prohibited. While staying in the hostel, purchasing food stuff from outside shops is not allowed. Students must use their own shelves, cots etc. without disturbing others. Every month guardians can meet their wards on 2nd and 4th Sundays from 10 am to 2 pm. The guardians may contact their wards over telephone. For that specific time schedule is provided from the hostel office. A student has to leave the hostel if he could not secure promotion in the school annual examination. Guardians are not allowed inside the dormitories. No one is allowed to meet the students without prior permission from the competent authority. If the authority considers the behavior of any student is harmful to the ideal of the institution, then that particular student may be removed form hostel and school both. The guardians must communicate with the Headmaster/Hostel Superintendent to know about the progress in study and conduct of their wards. Students, for their own interest and to maintain the congenial atmosphere of the campus, have to obey the rules imposed by the administration from time to time. Students can go home only during long holidays namely Summer Vacation (2 to 3 weeks), Puja Vacation (about 4 weeks) and Session-ending Vacation (about 3 weeks). Other than those specified above none can go home without any specific urgent reason. Guardians will take them home under their own responsibility and they will again bring them back to hostel in time. Provision is made for a balanced diet for both vegetarian and non-vegetarian groups. Two meals, breakfast and tiffin are provided. Students should not be encouraged to keep food articles except biscuits, horlicks and fruits. Total fees and charges for hostel is Rs. 30,500/- (approx.) per year and the same is to be paid in installments (as per notification). Extra expenses of pupils, if any, will have to be realized as per the information received from the institution. During the admission, detailed information regarding fees is provided. All payments must be made to the school/hostel office. The names of the boys, whose guardians fail to make payments as per the notified schedule, may be removed from the register. Monthly fee of hostel is to be given for twelve months. Fees cannot be reduced due to vacation or absence. If any guardian wants to withdraw his/her ward due to whatsoever reason or the authority is compelled to remove a student, then the guardian has to pay compensation for the remaining months of the year. If any guardian does not want to keep his/her ward in the hostel for the next year, he/she must inform three months earlier before the new session starts. Otherwise compensation has to be paid for an entire year. The Headmaster, Kamarpukur Ramakrishna Mission Multipurpose School, P.O. : Kamarpukur, Dist. : Hooghly, Pin-712612. Basic medical facility is only available in our campus. Guardians have to bear all the cost for the same. The students have to stay at home in case of critical illness. Co-curricular and Creative Activities are one of the most essential parts of education. This institution conducts various kinds of programmes/competitions throughout the year to help a child in manifesting his dormant traits and to meet a growing boy’s various interests. Among the co-curricular activities music (instrumental and vocal), painting and drawing, debate, elocution, recitation, drama, quiz and literary works are worth mentioning. Educative and cultural films are shown to the hostel boys on different occasions. Special care is taken for all-round physical development of the boys through physical training, games and sports. Every hostel boy has to participate in the physical training, conducted early in the morning and in the sports and games during the evening play hours. Arrangements are there to provide scope for playing football, cricket, volley-ball, badminton, basket-ball etc. The indoor games include carrom and table tennis. A well-equipped gymnasium provides lessons in body-building exercises, gymnastics and yoga. The institution is proud of its Band and Parade Group with its own flag and insignia. The institution Band and Gymnastic Troupe have earned public admiration for their performance. To develop a healthy competition and team sprit among the boys, different tournaments are organized. The general upkeep of the dormitories is entrusted to the boys themselves. They imbibe dignity of labour and learn practical lessons in self-help. In hostel, different types of competitions are conducted regularly to foster among students the sense of responsibility and fellow-feeling, habit of cleanliness and sprit of service. For this, students are oriented through informal talks, gatherings and a series of well-planned activities. They live in community life and enjoy the same common hardship or benefit without distinction of caste, creed, nationality or religion. It is expected that the guardians would share the same ideas and inculcate those ideas in the minds of their wards. It is necessary that guardians should have faith or ‘Shraddha’ in the ideas or ideals of this institution, without which the teaching learning process of this institution would remain incomplete. When the boys remain with their guardians, they should be exhorted to follow as far as practicable, the daily routine of this institution. The young ones follow almost blindly their friends and companions. Guardians are therefore, requested to watch carefully their wards’ friends and companions at home and outside and guide their wards to avoid mixing with false or undesirable friends and companions, so that no untoward incident might occur in future. Guardians should also be very vigilant so that their wards witness T.V. / Video / CDs / Cinema shows as minimum as possible. Programmme which seems to be conducive to the healthy development of the boys may be allowed and encouraged. Reading of healthy books, journals and magazines, etc. are also to be encouraged. Swami Vivekananda used to say that education is the panacea of all social evils. 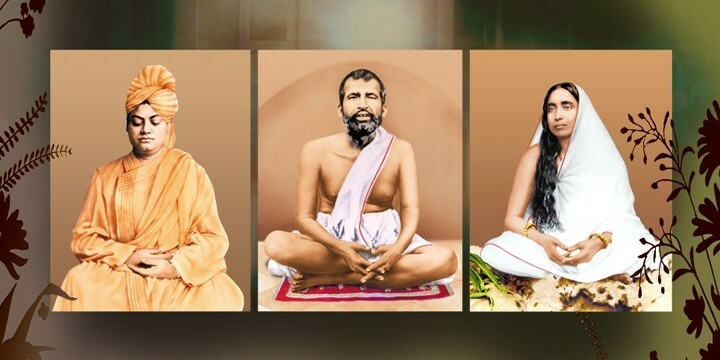 He said, “We must have life building, man-making assimilation of ideas.” The main source of inspiration is the teaching of Sri Ramakrishna, Sri Sarada Devi and Swami Vivekananda. The school, therefore, endeavours to educate the students in its charge according to the best traditions of the country, while instructing them in all directions – physically, mentally, intellectually and spiritually. As it prepares the students for public examination, it also tries to attend to their all-round growth and development. This is the ideal of education which we try to implement at Kamarpukur Ramakrishna Mission Multipurpose School. "God can be realized through all paths. All religions are true. The important thing is to reach the roof. You can reach it by stone stairs or by wooden stairs or by bamboo steps or by a rope. You can also climb up by a bamboo pole." "Open your grief-stricken heart to the Lord. Weep and sincerely pray, 'O Lord, draw me towards You; give me peace of mind.' By doing so constantly you, will gradually attain peace of mind."